PDF (15MB) Click right to download and view this issue using free Acrobat Reader, Adobe Acrobat, or another PDF readers. :: Dave Edler - "A real tough kid"
Cover photo: Sophomore Sarah Williams is borrowing money and working several jobs to help pay for college. 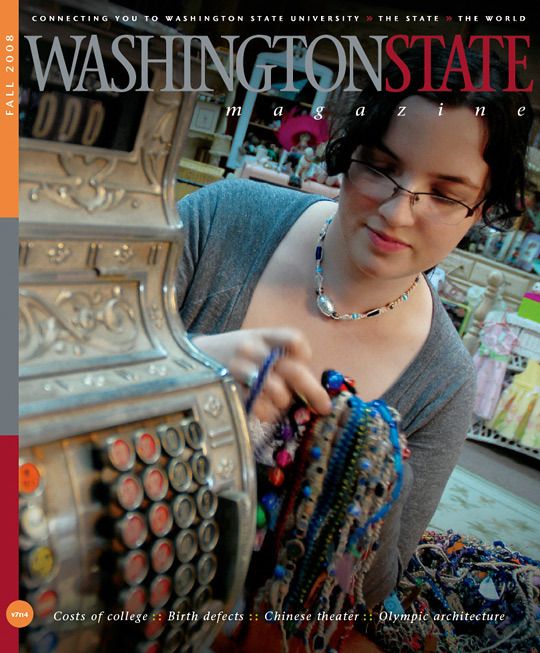 She also sells her handmade jewelry in Pullman and on the internet to raise money to cover her school supplies. Photograph by Zach Mazur.